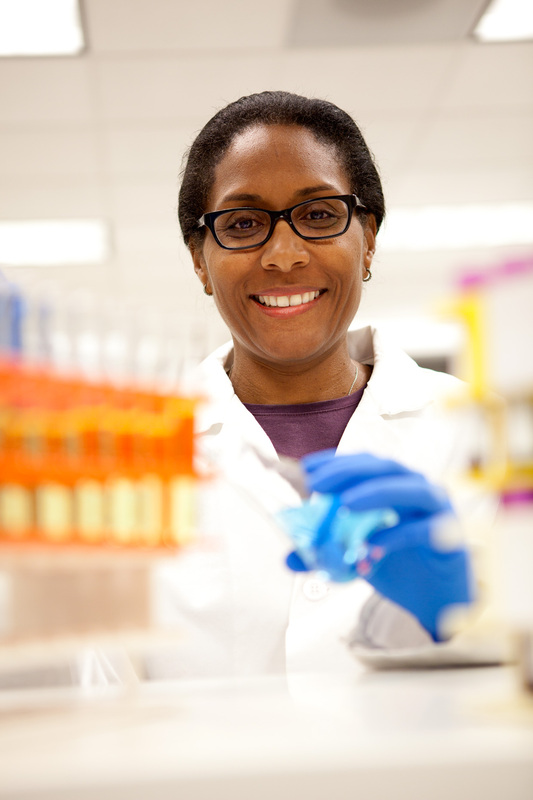 Portrait of African American doctor in hospital lab. Medical, healthcare. David Zaitz Photography.